CROCC is looking forward to hosting clubs from PNWORCA at our annual Race Around the Island. This will be a special year as it is our 20th year of hosting the race. Come out and join us for the fun! 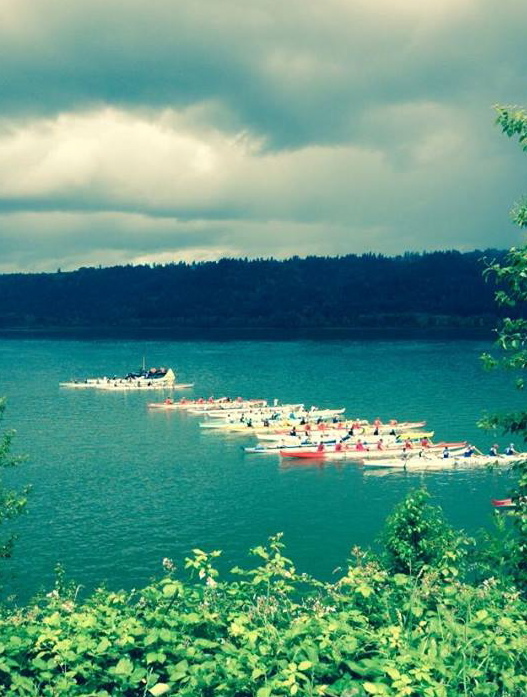 Columbia River Outrigger Canoe Club (CROCC) is proud to present the 20th Annual Race Around the Island (RATI) as part of the 2015 PNW-ORCA Summer Race Season. This will be a special celebration and we look forward to having you there! Please join us at Chinook Landing Marine Park in Fairview Oregon on May 30, 2015 for the race and celebration! Pre-registration opens immediately and closes on May 25, 2015. Since we ran out of Salmon last year, we have added another incentive to Early Entries. You will receive 2 raffle extra tickets per paddler AND we will place a hold on a lunch plate to insure you get one. When you check in and pay for the lunch, we will set aside the Salmon fillets for your team. Chinook Landing is a 67 acre marine park with a six-lane public boat ramp, picnic areas with a large parking lot, flush restrooms, a seasonal river patrol station and connections to Portland’s 40 mile loop trail. The site also includes interpretive signage, mainly about the nearby wetlands. Lewis and Clark likely stopped near the site. A continental breakfast, coffee, and water will be provided to our participants. We will also be selling a BBQ lunch. At the end of the day, there will be a Raffle and Awards presentation. As we head towards the end of 2014 its getting to be the time to reflect on the year we had. The Club had an incredible year in which we grew by almost cub growth (went from 12 members to 42!! 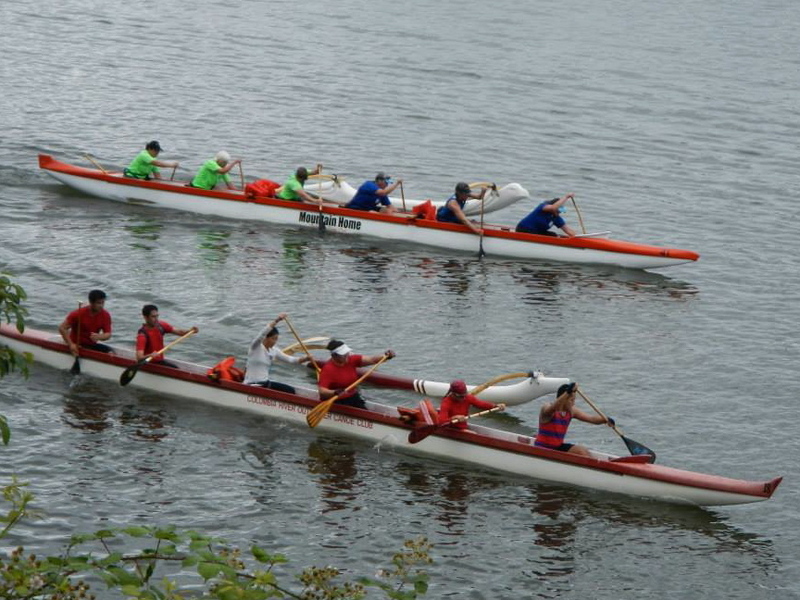 ), Crews placed in first and second places within their divisions, and celebrated several weddings along the way. 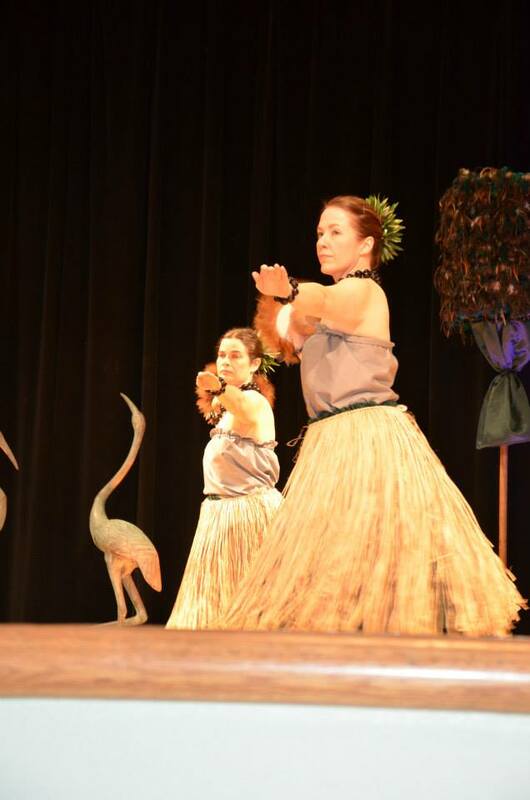 Mahalo nui loa to each of you! I hope each of you realize how proud I am of what you each accomplished this year! With the close of the 2014 year also come the transition of previous Board to 2015 Board. 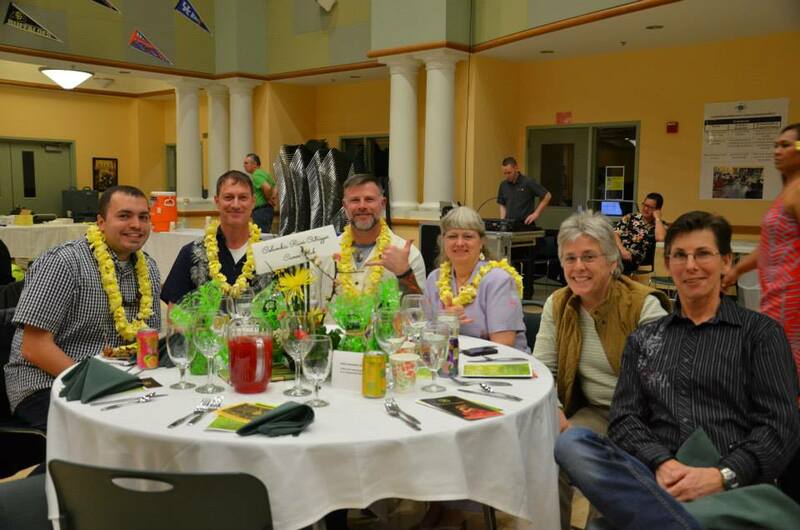 Before I announce the 2015 Board of directors, I would like to first express my sincere thanks to the 2014 Board members. Your contribution and sacrifice is not always recognized, but I would like to thank each of you for your leadership and say that the Club would not have come as far as it has without your hard work. Again Thank you all! I hope you have a wonderful holiday season and I look forward to seeing each of you on the water. 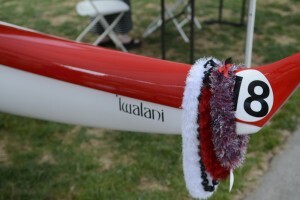 Mahalo to Mountain Home Outrigger Canoe Club to hosting a challenging race. What a fantastic day to be out on the water. It was fun for all who participated in the event even if we got a little wet from the rain. The day started off warm and dry but Mother Nature decided to gave us a nice shower to start the race. 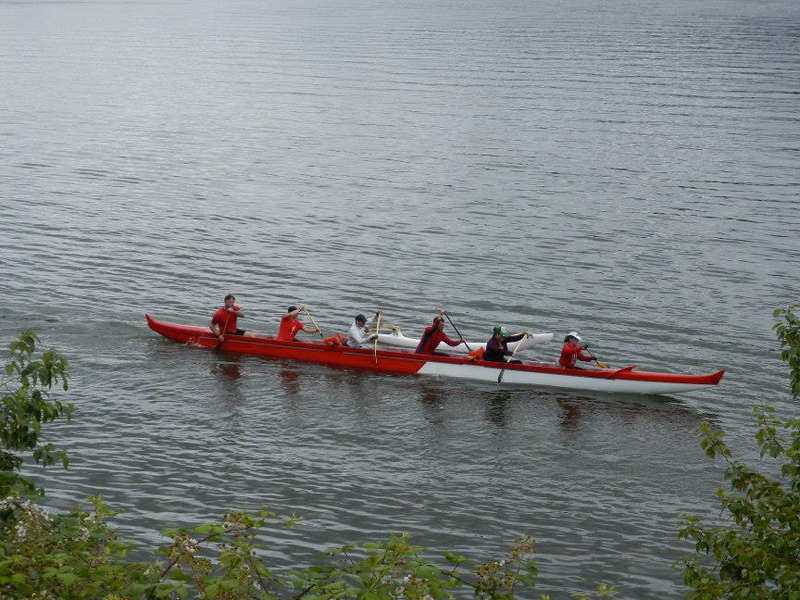 Novice Crew 1 coming in to the finish! Congratulation to crews for placing a the Rooster Rock Distance race! Mahalo nui loa to our two paddlers from Hui Wa‘a o Waikinikona who jumped in to assist our crews! Novice Crew 2 coming into the finish!